Life's a Beach | Expat Life in Playa del Carmen : Salud! Craft Beer Tastings at Fairmont Mayakoba! Fairmont Mayakoba, the AAA Five Diamond resort in Riviera Maya, will be the first hotel in Mexico to spice up the cocktail hour by introducing the "Craft Beer Bash", a gourmet affair to enjoy hard-to-find Mexican artisanal beers. "People are looking for innovative new styles and flavors and that is what our ‘Craft Beer Bash' is all about" says Regional Vice-president and General Manager of Fairmont Mayakoba Ian Robinson. "At Fairmont Mayakoba we have always been ambassadors of offering authentically local experiences and so, we are proud to be the first hotel in Mexico to present a craft beer menu and tasting for our guests to enjoy". Every day from 5:00 to 7:00 p.m. La Laguna Lounge invites to partake in the "Craft Beer Bash" featuring a selection of four artisanal beers from boutique brewery Microcerveceria Gourmet Calavera. Guests will be pleasantly surprised by the body and fragrance of the selected cervezas artesanales with hints of orange, vanilla and even chocolate and chili. In addition, every day upon request Luis Garces, Certified Beer Server by the Cicerone® Certification Program, will share his knowledge and enthusiasm for beer hosting a guided tasting paired with botanas (Mexican tapas). 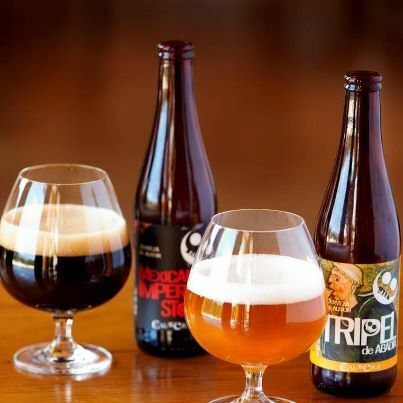 Priced at $25 usd per person, the "Craft Beer Tasting" it is a fun encounter filled with lively conversations and great food where beer is the star of the show. "The carefully selected beers stand out of the mass-produced, thought well made Mexican brews, offering and extravaganza of flavors and aromas" mentions Fairmont Mayakoba Certified Beer Served Luis Garces. "Like the Mexican Imperial Stout, a full-bodied, chocolaty, dark ale that packs a punch, clocking in at 9 percent alcohol by volume; but what is worth noting is that it's made with chili peppers, which takes it to a whole new level of complexity and possibilities when pairing". For additional information, you may contact the hotel directly at 01 800 540 6088, visit Fairmont.com/Mayakoba, follow the latest news and happenings on twitter @FairmontMYK or become a fan on Facebook at FarimontMayakoba.